I’d like to thank all the readers who have contributed “customer reviews” of The Monument over at Amazon.com and to express my appreciation to the most recent reviewers. What sparked my current gratitude was a review during February by “Yosemity” (a pen name, surely), along with one by Mark Lippstreueron in late December. 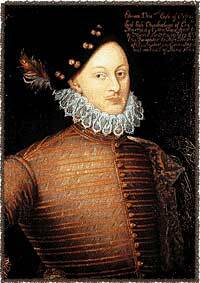 To my knowledge I’m not acquainted with either writer; I post their reviews here to encourage more Shakespeare lovers to explore the authorship question and, in particular, the Monument theory of the Sonnets as written by Edward de Vere, Earl of Oxford. “This masterful literary detective work is brilliant. This interpretation of the Sonnets is the most coherent of all interpretations. It ties together the fair youth, the dark lady, and the rival poet with the underlying political context of the Essex Rebellion. It shows words and phrases cross references from early poems (i.e. Love Thy Choice) and plays to various sonnets most natural and sensible. 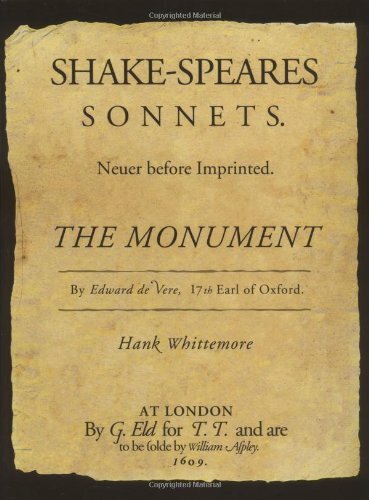 “‘And thou in this shalt find thy monument’ (Sonnet 107, line 13). “With the sonnets’ context based on Oxford’s life events, the double imagery in the sonnets can take both specific and more hidden meanings. The author wanted to hide the specific from plain sight. Readers can see it either way. Which way is more enjoyable? Which interpretation is more interesting? This depends on the reader. There are plenty of isolated lines that can be enjoyed without context. It’s like a rose by the side of the road, a summer day, etc.